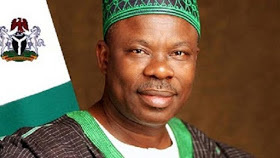 Governor Ibikunle Amosun of Ogun State said on Friday his administration would build a movie village and museums in memory of music and theater icons from the state. Amosun said some of the music and theater icons would include late Fela Anikulapo-Kuti and late Herbert Ogunde among others. The governor made the remarks at the 3rd National Congress of the Association of Theater Artists and Film Producers of Nigeria in Abeokuta.